This section shows you two things. 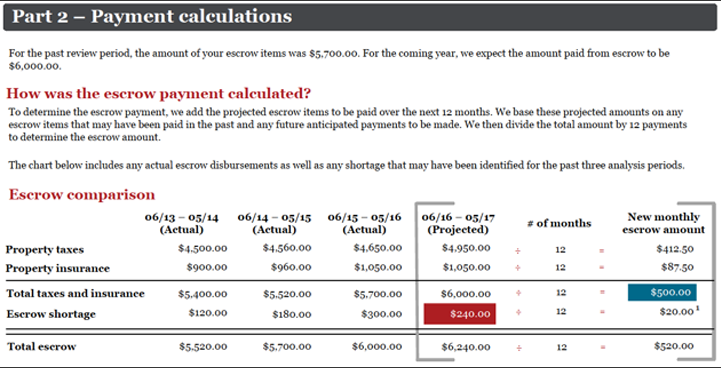 The first is exactly how we calculated your escrow payment amount. You’ll see your estimated taxes, insurance, and other escrow-related items for the coming year and how much they’ll cost monthly. The second is how we calculated your overage or shortage amount.